The weekend is upon us! SK&H has compiled a list of fun things to do this weekend that DON’T involve Pokémon Go. Here are family-friendly activities that everyone can enjoy; great events for out-of-town guests who are curious about what makes our state so great. And best yet – many of them are free! Anyone for log hurling? 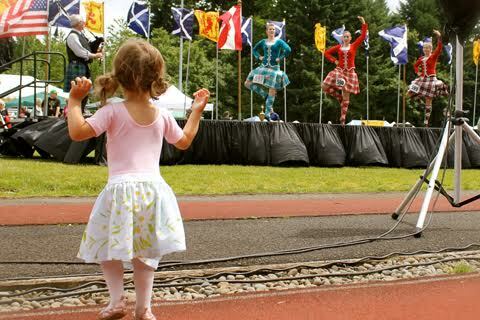 Hear Scottish pipes and drums, see athletic games, taste whisky, and join Scottish Highland dancing at this fun annual event. In Gresham, at Mt. Hood Community College. Do you have a favorite? From Marionberries to Ollalieberries and the best blueberries and strawberries you will find anywhere, the annual fruit fest features vendors, berry products, music, cooking demonstrations, and kids’ crafts. And it all takes place in the Pearl District in the eco-friendly Ecotrust parking lot. Free! The Robin Hood Festival hosts an international archery tournament, a knighting ceremony, castle building, 100 craft and food vendors, a beer and wine garden, and the Robin Hood Festival Parade Sat. at 10 a.m. In Sherwood. Free! Hear local and international jazz and blues heroes against the backdrop of the Willamette River. An awesome setting – under the historic St. Johns Bridge – for an awesome concert series. Free! Rugged Maniac 5K Obstacle Race is a 3-mile race with 25 obstacles of walls, slides, fire, and mud. Bands and beer, too, all at Portland International Raceway. Billed as America’s Largest Antique & Collectible Show. Nearly 1500 vendors selling furniture, glassware, movie memorabilia, estate jewelry, paintings, and toys. Find it all at Portland Expo Center.